It usually takes a few rounds at the Ladbrokes World Darts Championship for the big names to start dropping, but this year has seen several high-profile players exit the competition even before the end of the first week. Former World Champion Raymond van Barneveld and World No.6 Mark Webster have both fallen victim to upsets and it’s starting to look like an incredibly open competition – when Phil Taylor isn’t playing anyway. Andy Smith is the narrow favourite heading into this clash and he should have enough to overcome the challenge of lorry driver Scott Rand. Smith made the last 16 at Ally Pally last year and made the last 32 at the Players Championship Finals earlier this month. Back Smith to come through this one at 8/11. The night’s preliminary encounter sees Petersen the big 4/11 favourite and it’s hard to see beyond a win for the South African. De Sousa came through a World West European Qualifying Event to make it to the finals but Petersen is a step up in class and he should sweep to victory. Three-times World Champion John Part begins his campaign with a game against John Henderson and it promises to be a tough encounter. However, Part has shown glimpses of some decent form this season – including defeating Adrian Lewis at the World Grand Prix – and he should be able to see off the Scot in north London. Australian Simon Whitlock is the huge favourite for this game but World No.50 Dennis Smith shouldn’t be completely dismissed. 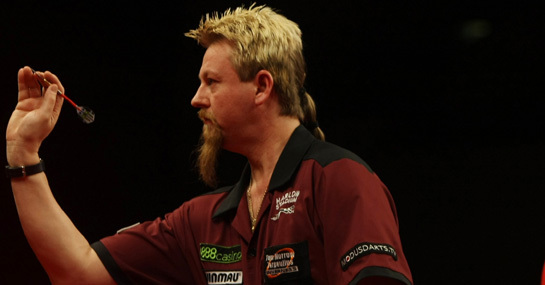 He made the semi-finals in 2000 and could give Whitlock a scare. ‘The Wizard’ should be too good though and backing him to win 3-1 at 2/1 looks well worth consideration.